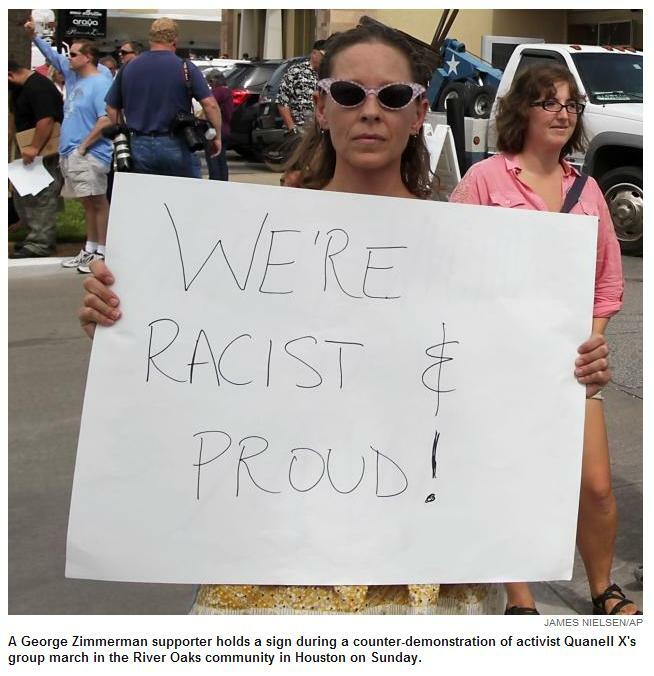 On Sunday, a far left Texas activist infiltrated a pro-Zimmerman rally in Houston and held up an outrageous sign promoting racism. The perpetrator was later identified here as Renee Vaughan from Austin, a far left environmental activist operating in Texas. 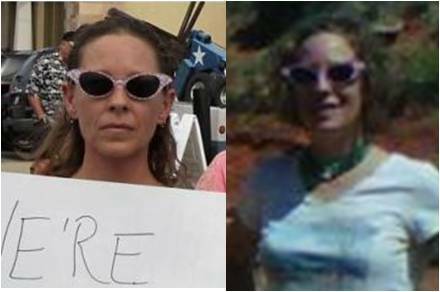 Here’s are side-by-side photos of Renee wearing the same sunglasses she wore at the pro-Zimmerman rally. 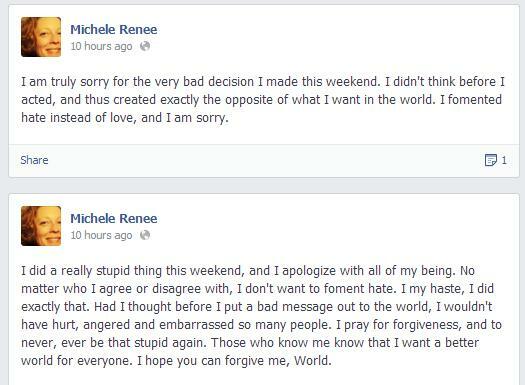 Yesterday, after she was exposed, Renee Vaughan apologized for her actions. Renee Vaughan says she doesn’t want to foment hate. I did a really stupid thing this weekend, and I apologize with all of my being. No matter who I agree or disagree with, I don’t want to foment hate. I my haste, I did exactly that. Had I thought before I put a bad message out to the world, I wouldn’t have hurt, angered and embarrassed so many people. I pray for forgiveness, and to never, ever be that stupid again. Those who know me know that I want a better world for everyone. I hope you can forgive me, World. It’s a little late for that, Renee. More… The far left environmental group where Renee works has also apologized. Mike from Houston sent the following email to the TCE. I am very sorry that this incident occurred. She is an employee, but was not in any way, acting on behalf of Texas Campaign for the Environment on Saturday. Our organization has nothing to do with that controversy. She now realizes that her actions exhibited extremely poor judgment. Please accept my apologies for this offense to good taste. She is willing to communicate directly with you, if you should want to do so.